The Children’s Museum of Atlanta offers “Sensory Friendly Saturdays” every Saturday morning in April. 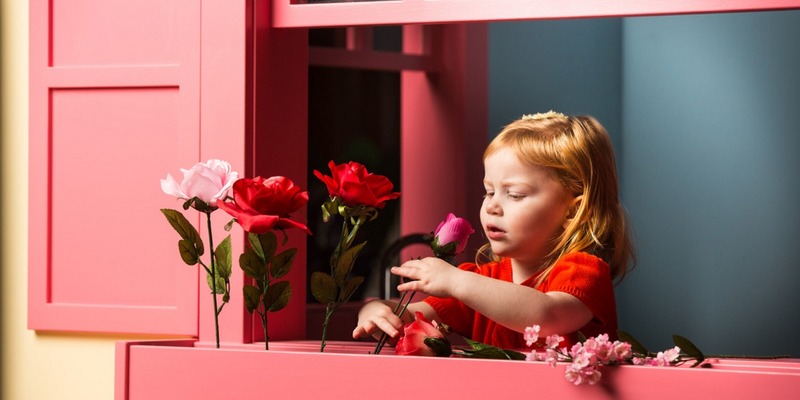 Photo by Jeff Roffman courtesy of Children’s Museum of Atlanta. April is Autism Awareness Month, and there are several sensory- and autism-friendly performances and events coming up that are designed for families with children or individuals affected by autism. Participating organizations include the Children’s Museum of Atlanta, the Center for Puppetry Arts, Tellus Sciene Museum and The Southern Museum of Civil War and Locomotive History. Adjustments to the atmosphere make the events more inclusive for children with autism, who can have varying degrees of difficulty with social interaction, verbal and nonverbal communication and processing senses such as taste, touch, smell and hearing. Sensory-friendly events often have limited admission so the crowds are smaller and fewer stimuli, including dimmer lights, softer sounds and designated quiet rooms. Many of the organizations in Atlanta also offer a social story that visitors can download to learn what to expect from an event before arriving at the door. During this event, families with children on the autism spectrum or children with sensory processing disorders can enter the Children’s Museum of Atlanta at 9 a.m., which is one hour before the facility opens to the general public. In celebration of Autism Awareness Month, “Sensory Friendly Saturdays” are extended to every Saturday during April (instead of just the first Saturday of the month), and admission is $6 per person. Advanced ticket purchase is required. 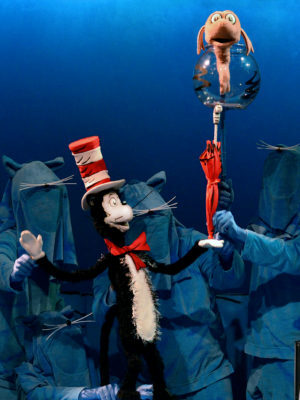 The sensory-friendly performance of “Cat in the Hat” is April 8 at Center for Puppetry Arts. Photo courtesy of Center for Puppetry Arts. The Center for Puppetry Arts produces sensory friendly performances of its plays regularly, and it’s current show is based on show is Dr. Seuss’ “The Cat in the Hat.” For the sensory-friendly performance on April 8, guests can enjoy the museum exhibits at 12 p.m., a performance at 1 p.m. and a Create-A-Puppet Workshop™ at 1:45 p.m. Performance alterations include theater lights that are dimmed down but not out, consistent sound levels and lower volume of show soundtrack, freedom for children to talk and to leave their seat if necessary, a quiet zone in the lobby, and permission to bring along quiet, contained snacks and beverages. These adjustments continue into the Museum and Create-A-Puppet Workshop™. The admission price for the event is $25. The Cobb County Safety Village by Jim Miller Park has a free, one-day event on April 21 from 10 a.m. to 2 p.m. during which children and young adults on the Autism spectrum can experience the different roles of public safety firsthand. Visitors can sit in a police car; ride a fire truck; go up in a ladder truck; play in a bouncy house and inflatable slide; play games; make crafts; and meet with fire fighters, police officers, sheriff deputies and 911 operators. Pre-registration is required. Cartersville’s Tellus Science Museum has a sensory-friendly weekend planned for April 21 and 22. These days visitors who would benefit from a quieter experience at the museum can enter the museum at 8:45 a.m. before doors open to the public at 10 a.m. Admission is $15.95 for adults, $13.95 for seniors, $11.95 for children ages 3 through 17 and free for children ages 2 and under. Advance purchase is required. There are additional quiet morning events planned for July 21 through 22 and October 20 through 21. 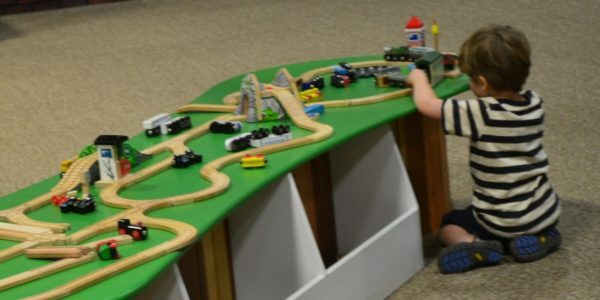 The last Tuesday of each month from 2 to 5 p.m., The Southern Museum of Civil War and Locomotive History in Kennesaw is transformed into a sensory-friendly environment. Photo courtesy of The Southern Museum of Civil War and Locomotive History. The last Tuesday of each month from 2 to 5 p.m., The Southern Museum of Civil War and Locomotive History in Kennesaw is transformed into a sensory-friendly environment. During April the event is extended to every Tuesday afternoon. Admission is $7.50 for adults, $6.50 for seniors, $5.50 for children ages 5 through 12 and free for ages 3 and under. On Sunday, April 29, the Autism Speaks Georgia Chapter is holiding its 14th annual Autism Speaks Atlanta Walk. Photo courtesy of Autism Speaks Georgia. 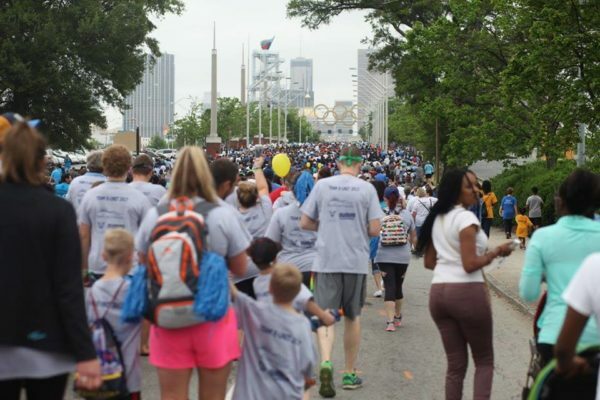 On Sunday, April 29 the Autism Speaks Georgia Chapter is holiding its 14th annual Autism Speaks Atlanta Walk in partnership with the Marcus Autism Center. The event begins at 8 a.m. with registration at Atlantic Stations’s pinnacle lot, and the 1.7-mile walk begins at 9:30 a.m. There are special events at the end of the walk as well. The walk is free, but fundraising is encouraged. To find more sensory-friendly events in your area, check out Autism Speaks’ online calendar.